The Guitar Pentatonic Scales are the most useful scales there are. Well worth learning and making them your own. These scales date back thousands of years. Useful in Jazz, Blues, Country. These are well worth learning. The Major Pentatonic Scale is one of the most used scales in modern and ancient music. This scale has a bright sound which is great for modern country music. 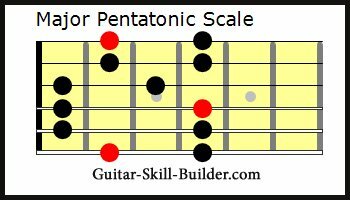 Link to PDF file with all 5 positions of the Major Pentatonic Scale. Click on the image below and click full screen button to expand to high quality Major Pentatonic scale tab and notation. 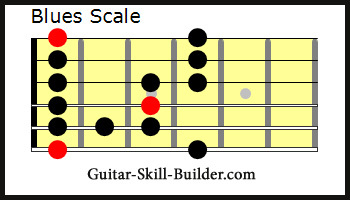 This is a great scale that is hard to go wrong on. The most popular scale for Blues and Rock music. It has a great bluesy sound. 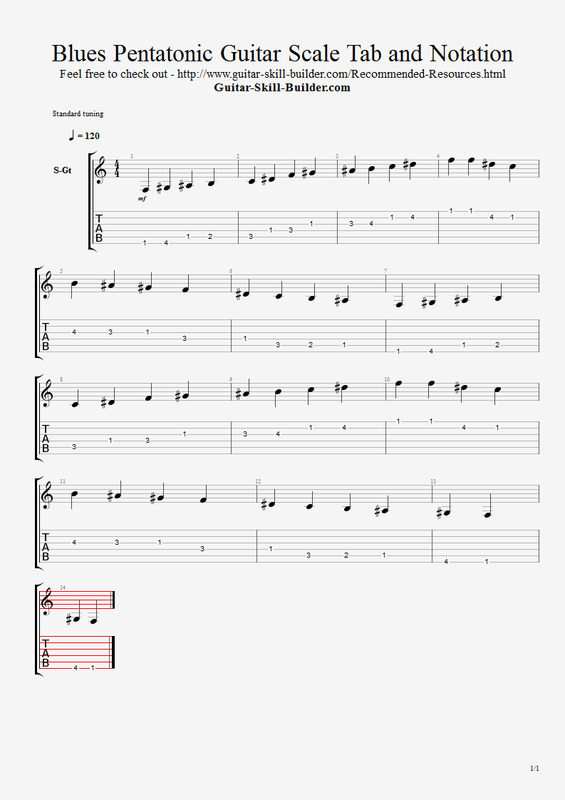 Link to dedicated page for the Minor Pentatonic Scale. 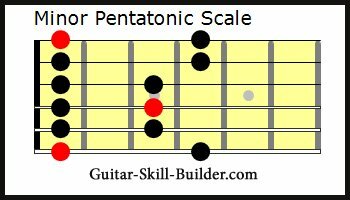 Link to PDF file of all 5 positions of the Minor Pentatonic Scale. 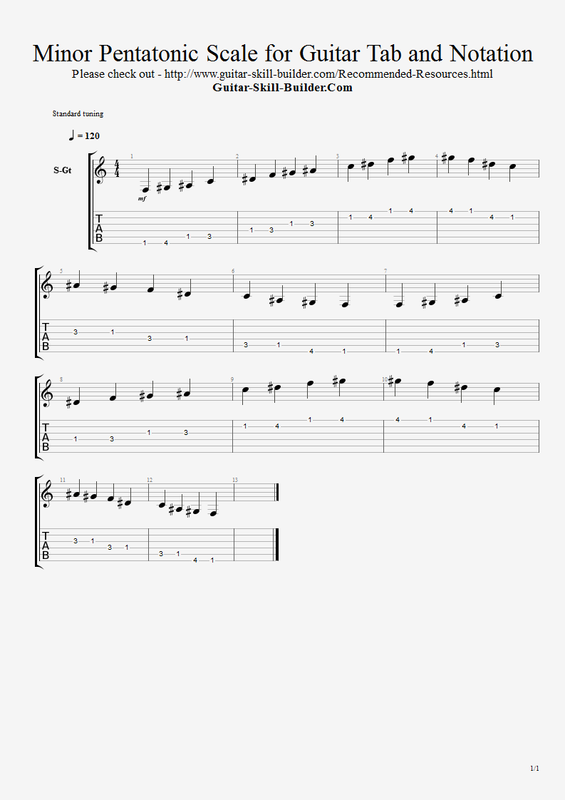 Link to Guitar Pro tab file of the Minor Pentatonic Scale. 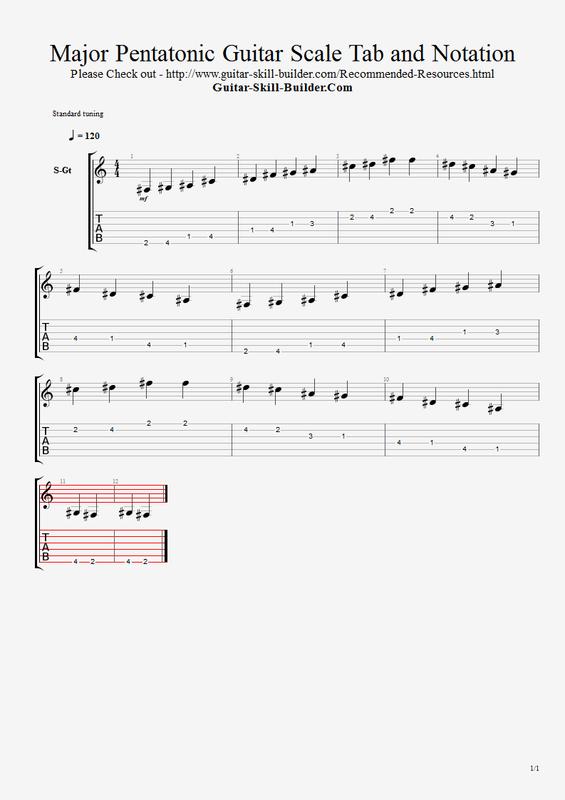 Click on the image below and click full screen button to expand to high quality Minor Pentatonic scale tab and notation. 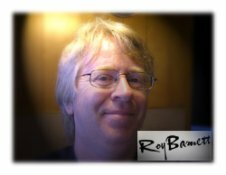 Link to page dedicated to the Blues Guitar Pentatonic Scale. Click on the image below and click full screen button to expand to high quality Blues Pentatonic Scale tab and notation.